Kodak Professional 8800 Printer for APEX and G4 Systems - PFS / Photo Finishers Supplies Inc.
More selling time: Kodak 8800 printer accepts high capacity rolls for less staff interruption. Make 250 20x30 cm (8x12 in.) or 300 20x25 cm (8x10 in.) prints per roll. Kodak tests all of their premium products with consumers and the results can really pay off for your business. With a 92% overall customer satisfaction rating, plus high scores for referrals to friends and family, this printer is one smart choice. 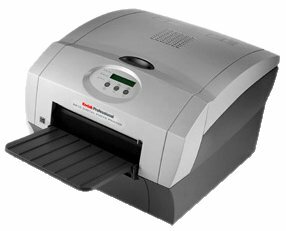 The Kodak Photo Printer 8800 is incredibly flexible and nimble. It’s designed to work with our award winning Kodak Picture Kiosk portfolio and the new Kodak Adaptive Picture Exchange (APEX). It’s ideal for higher volume opportunities. The Kodak 8800 is the reliable workhorse of 8X prints in Kodak Kiosks. Print time: 39 seconds for 8x10-inch (20x25 cm) prints, 45 seconds for 8x12-inch (20x30 cm) prints.